Combining abundant living spaces and private retreat areas, Barwon 28 provides the ideal home for recreation for all members of the family. 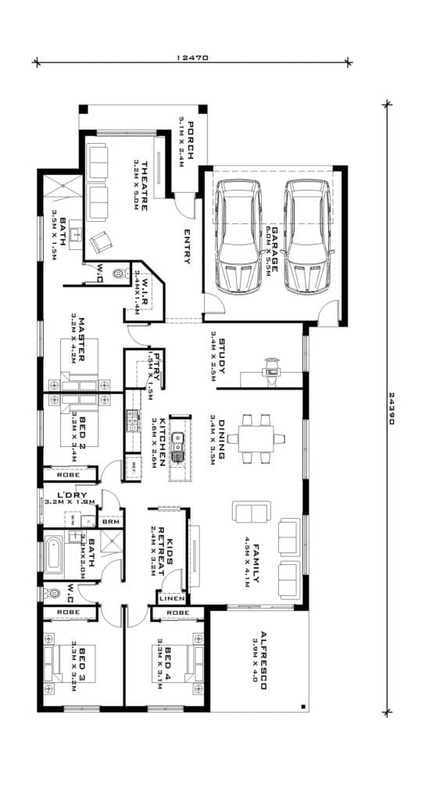 Featuring a private kids’ retreat adjoining two of the four bedrooms and a theatre room at the opposite side of the home, the floorplan gives thoughtful consideration to the use of activity zones, with the inclusion of a study. Whether it’s work, play or just simply unwinding from the day, Barwon 28 is a practical and flexible home for active families.